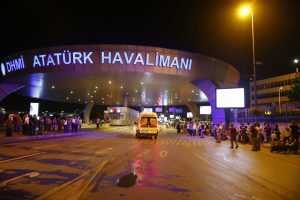 At least 41 people were killed in the explosions at Istanbul’s Ataturk airport Tuesday, according to Istanbul’s governor’s office. Dozens more were wounded, officials reported. The death toll is expected to rise. Local authorities believe that three suicide bombers detonated explosives at the entrance of the international terminal, ahead of the security checkpoints, the regional governor is quoted as saying by the NTV news channel. But a Turkish official, in an earlier conflicting account, told AP that two attackers blew themselves up after encountering police. 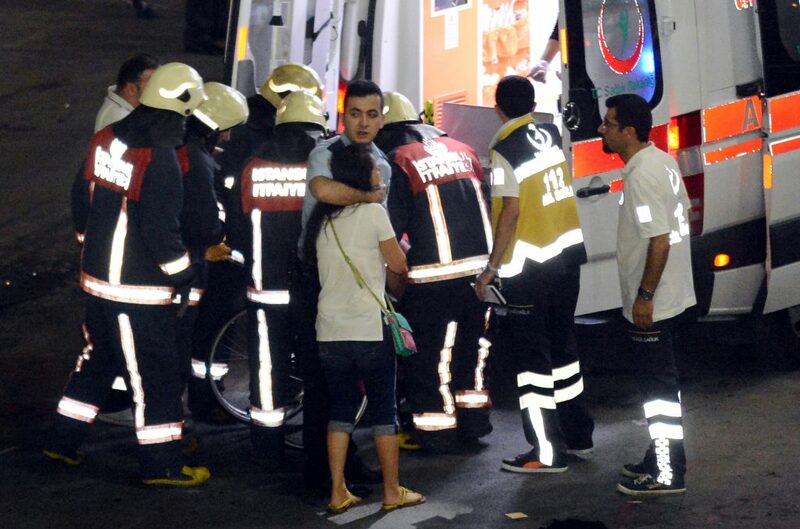 The death toll jumped hours after Turkish Justice Minister Bekir Bozdag had said 10 people died in the blasts. “According to the information I was given, a terrorist at the international terminal entrance first opened fire with a Kalashnikov and then blew himself up. We have around 10 martyrs (dead) and around 20 wounded,” Bozdag was quoted as saying by Turkey’s state-run news agency. 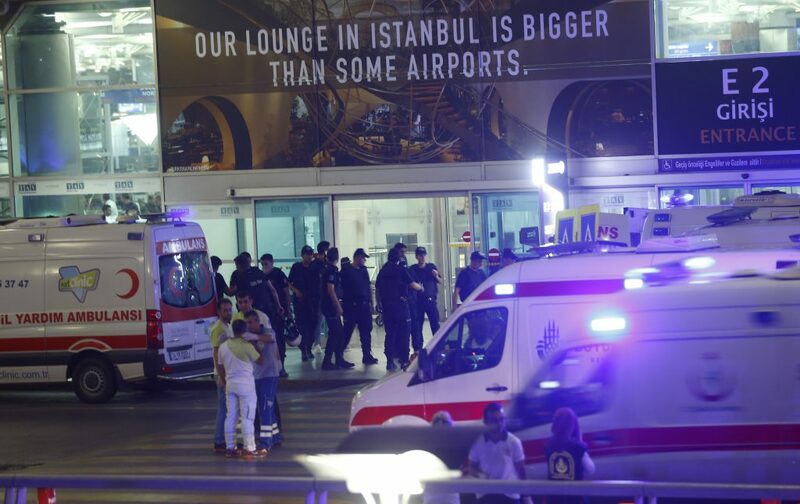 Local Turkish media has quoted witnesses who have heard gunfire in the airport. According to its operator, TAV Airports, Ataturk is the third largest airport in Europe. This attack comes after several bombings in recent months linked to Kurdish or Islamic State group militants. At least 11 people were killed in a car bomb attack earlier this month in central Istanbul. This is a developing story. PBS NewsHour will update the story as more details become available.